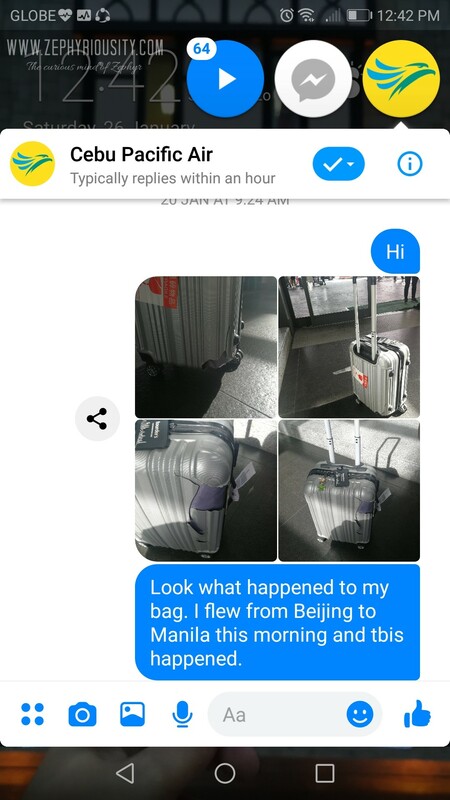 Last January 20, 2019, I flew from Beijing to Manila via Cebu Pacific Airline – 5J673. I didn’t mind the traffic we had at the air, nor the minutes we spent waiting until the plane is good to dismissed the passengers. I didn’t even mind the long line at the immigration for foreign passport holders (i had a foreign friend with me at that time). 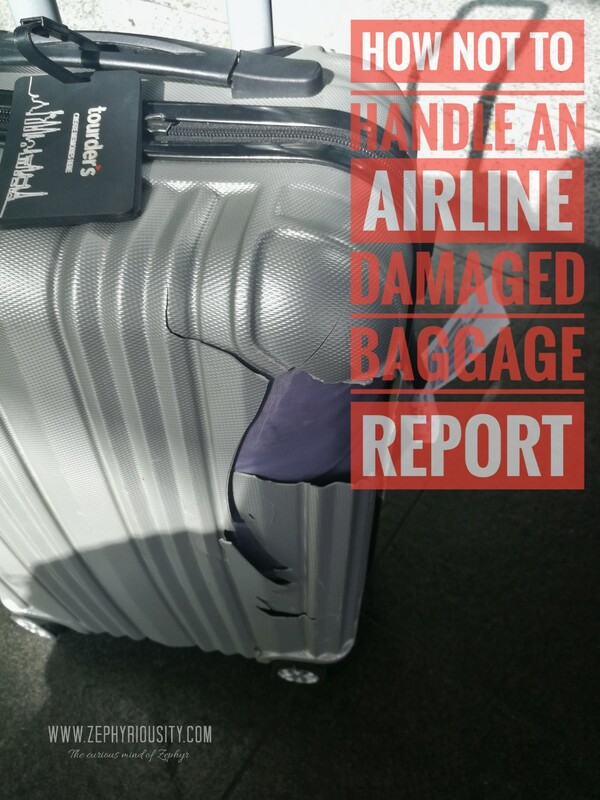 But what i did mind, was what happened to my baggage. 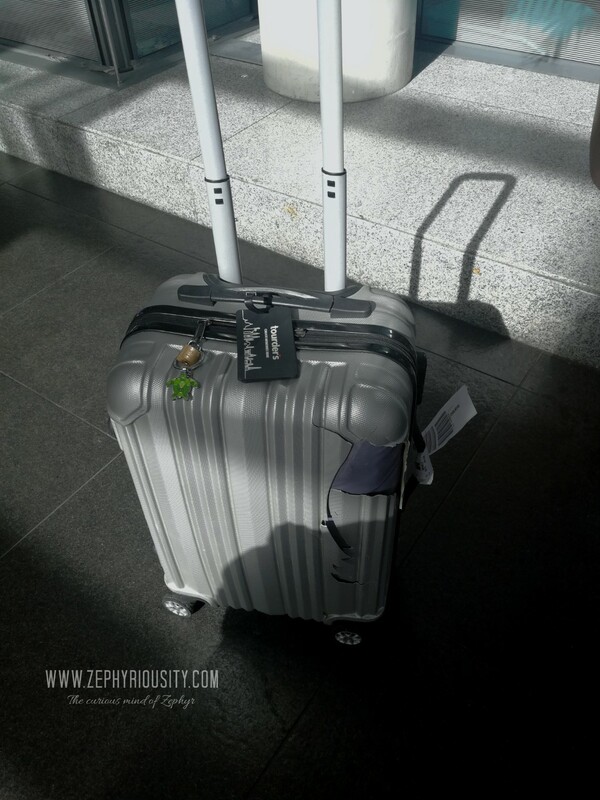 To my dismay, the baggage, which i have been using for the past two years has been broken. I was surprised. It has the “fragile” sticker on it. 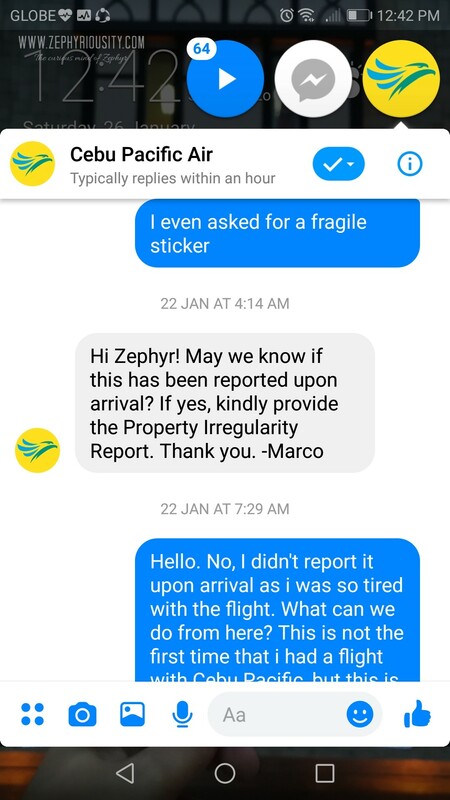 But it didn’t matter that time, it was just a sticker. I was really tired that time, my flight was midnight to morning – 4 hour flight. So, instead of pushing my concern while I was at the airport, I decided to head home instead. 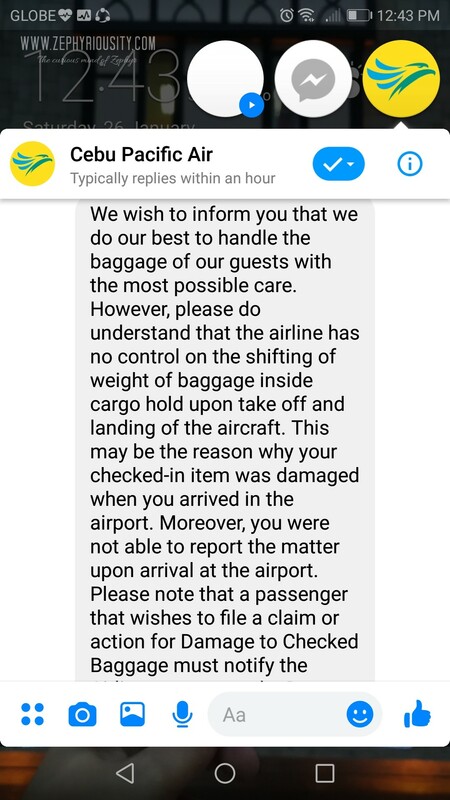 Went home with a damaged baggage with a failure to to report at the airport. Which was WRONG. 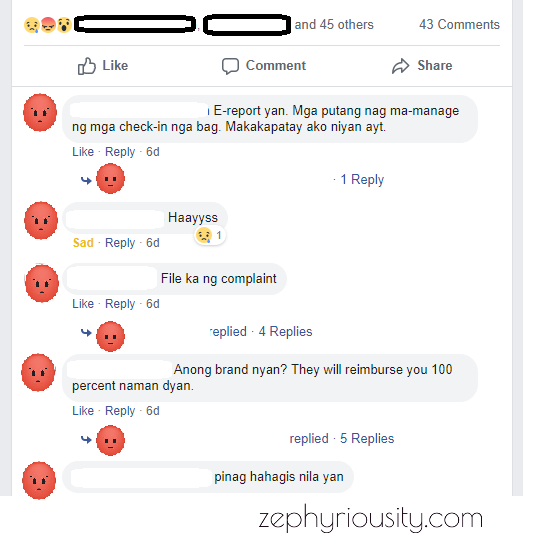 On my mind, I thought that sending a complaint via Messenger could solve the issue. Not that I know how I would want them to solve my broken luggage. 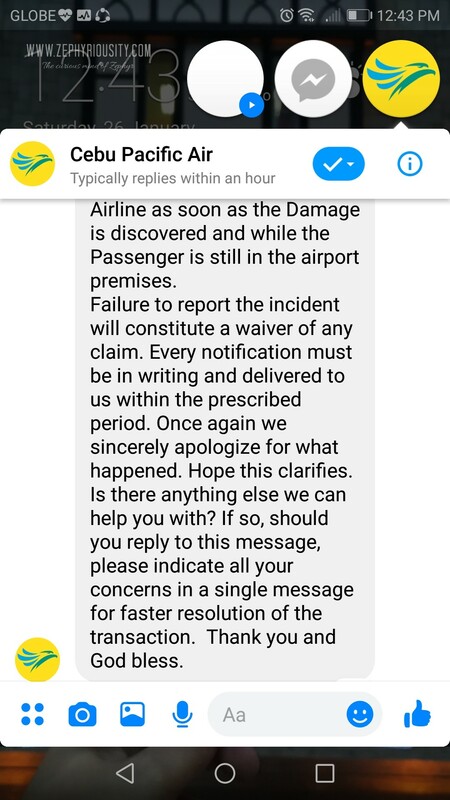 I have no idea on what would happen with my situation, I just wanted to report it so the airline would be aware of it. 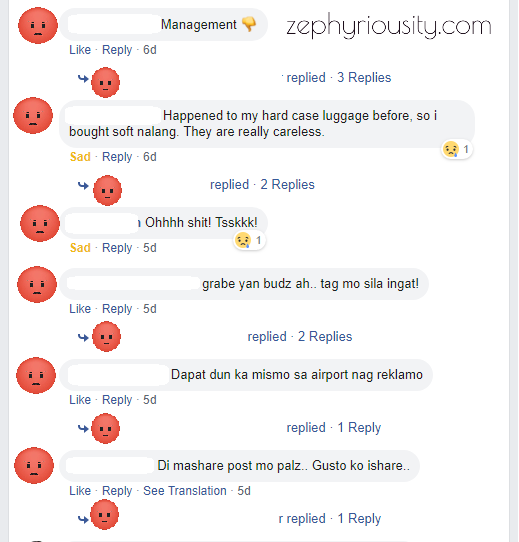 I was distraught so i posted it on Facebook; and my friends showed me sympathy and told me their thoughts. 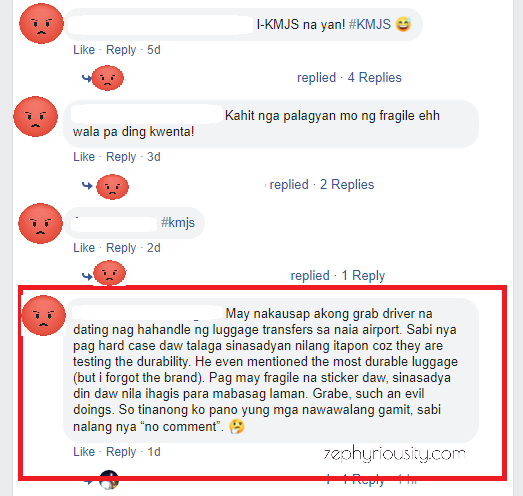 What I wasn’t really expecting was the comment from a friend, telling me that some of the workers that handling the check-in baggage are testing the quality of the bags by throwing them, etc. See the images of comments below. Read the waiver, if there is for the fragile sticker. Hope that you purchased CEB TravelSure for any compesation that will be needed. 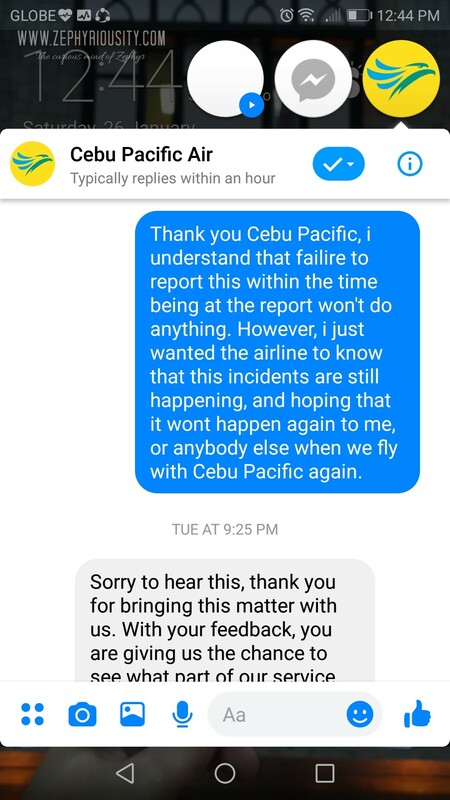 I am a frequent traveller of Cebu Pacific Air. 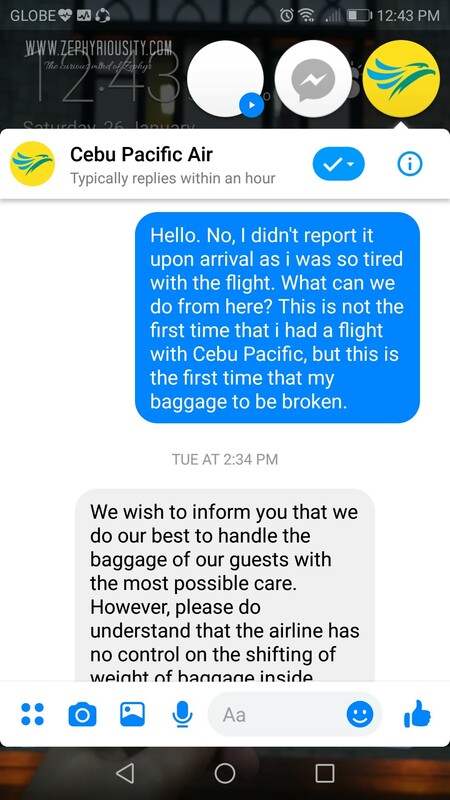 I am always been happy with their services, and for the past flights that I had with them, I haven’t experienced any delayed flights. 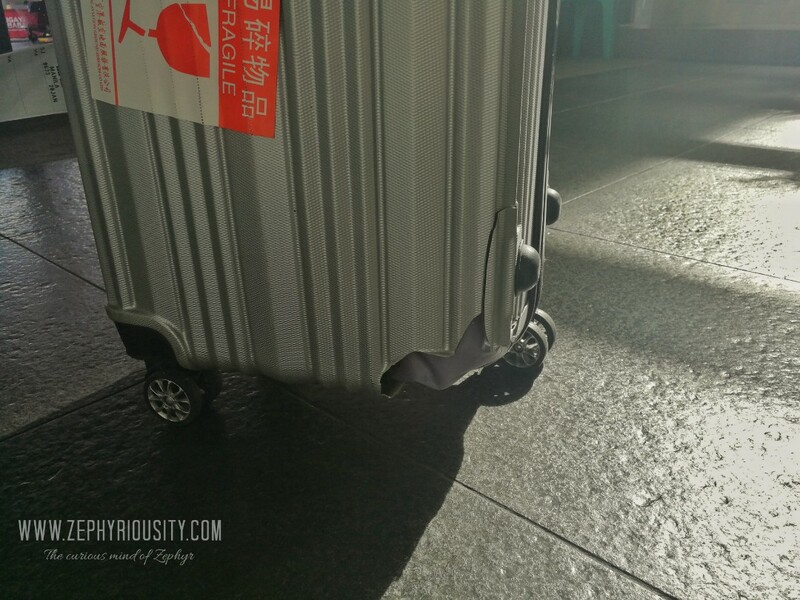 And I never think that one day, I will experience looking at a broken luggage of my own – despite of many concerns telling me not to check in my bags. Hoping that this won’t happen again to me, or to anybody that flies with them. 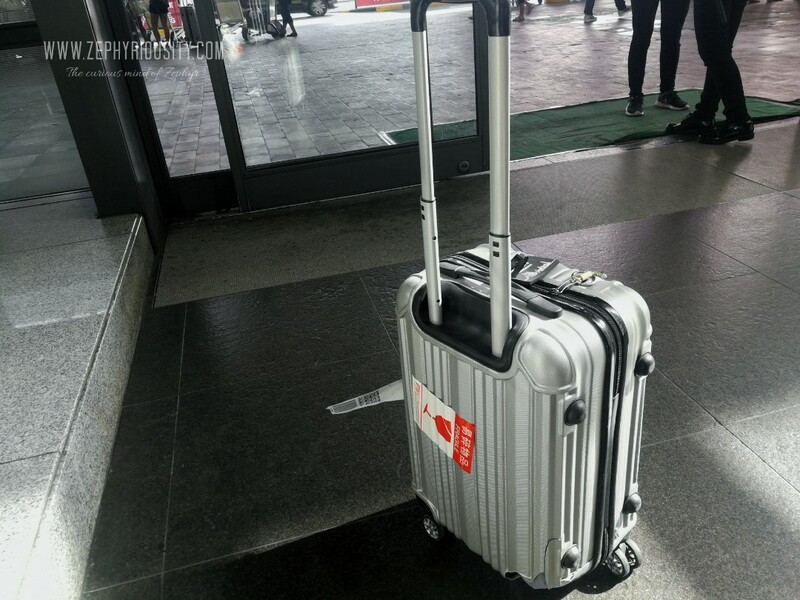 Our baggage and what’s inside of it is important and we decided to put their safety on the airline’s hands. 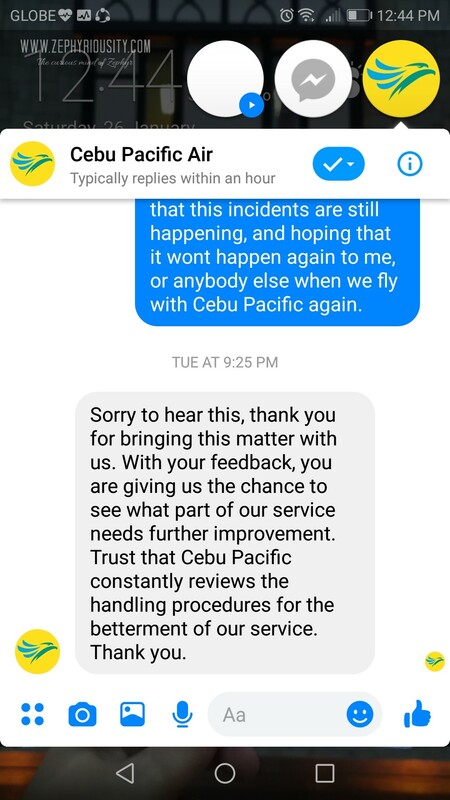 Please avoid disappointing us because we love the services from #CEBTRavels.